First responders were called in to help the toddler. 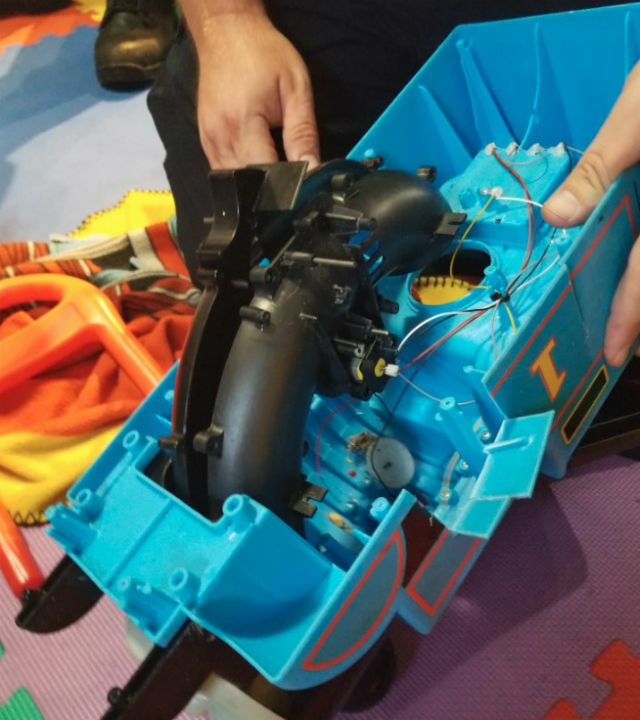 DANBURY, Connecticut -- First responders in Connecticut were called to help a toddler after he got his arm stuck in a "Thomas the Tank Engine" toy. Firefighters with the Danbury Fire Department arrived to discover the 2-year-old got his arm stuck in the smoke stack of the toy. They said the young boy was calm and brave, but they could not get his arm out of the toy. Firefighters decided to dismantle the toy, but what seemed like a simple solution at first became more complicated when they discovered the tube was a launcher for shooting a ball. After 20 minutes of dismantling the toy, the rescuers realized the child had a bracelet that got caught on a gear mechanism of the launcher. They were eventually able to free the child from the toy and he went back to playing with his other toys.